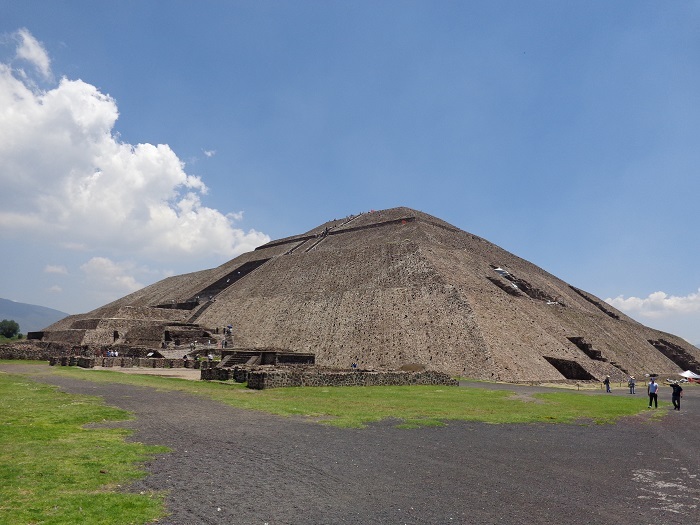 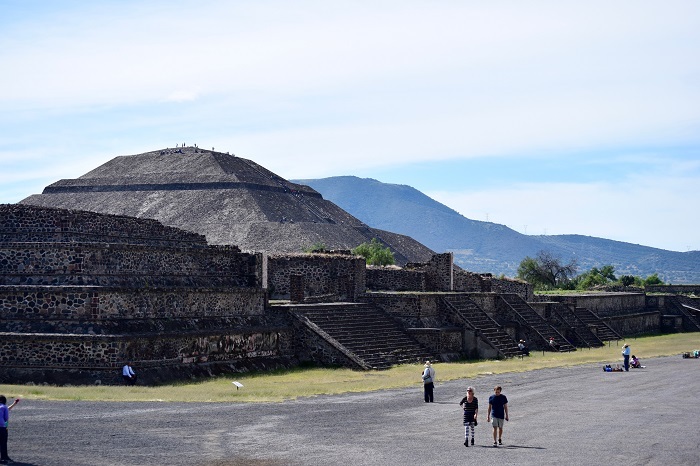 The Pyramid of the Sun is a large building which is part of the ancient Mesoamerican city of Teotihuacan, and it is located in the State of Mexico, within the United Mexican States. 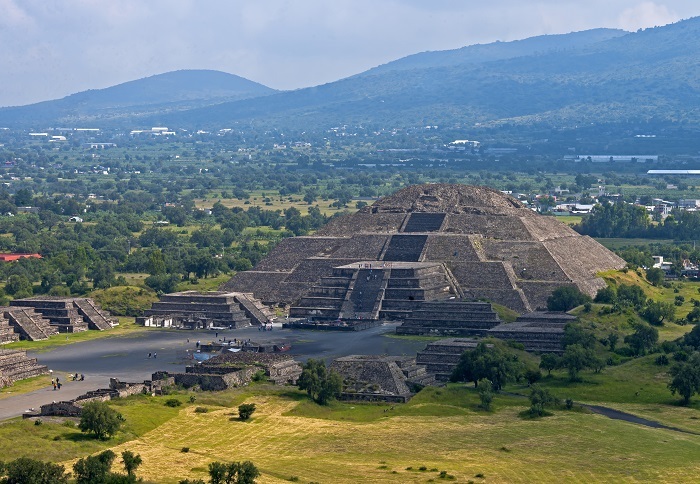 Considered to be one of the largest man made structures in the world, it is always considered that it was built as an Aztec temple, however, it was constructed by the much earlier civilization, the Teotihuacans. 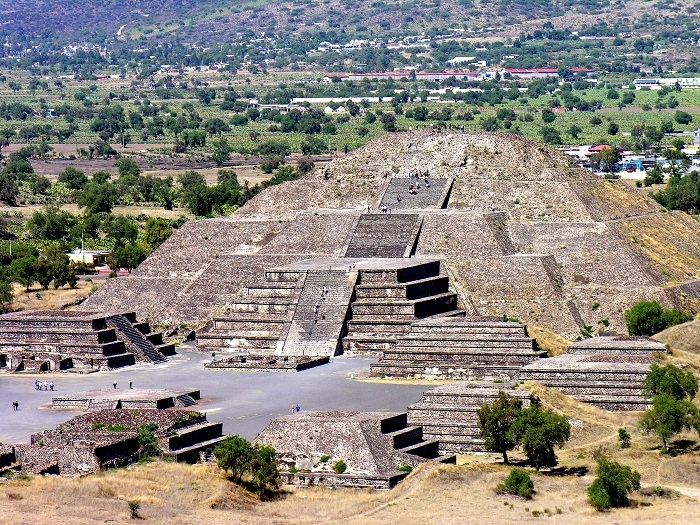 It was in fact that the Aztecs named it the Pyramid of the Sun, who visited the city after it was abandoned. 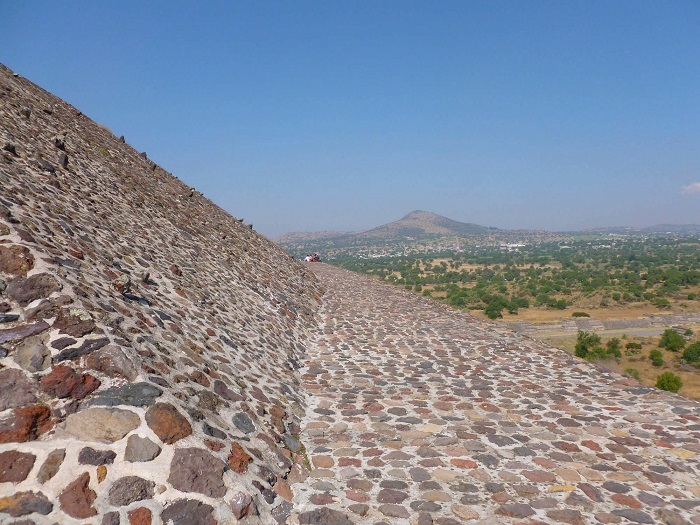 With the length of 220 meters (720 feet) and width of 230 meters (760 feet), it is believed that the structure was constructed in two different phases. 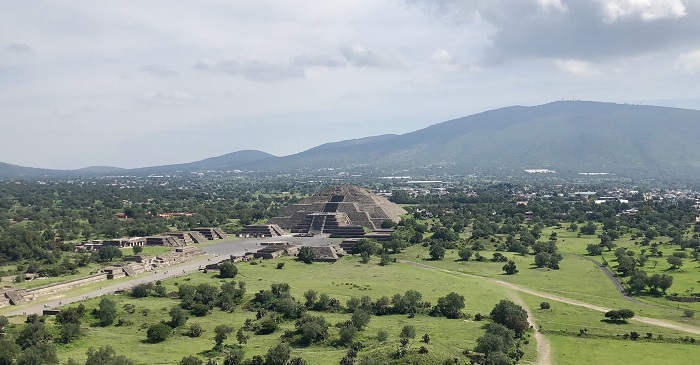 The first one divided into two stages brought the pyramid to the size we are able to see today, while the second stage was the completion of the entire structure with measurements from one to the other side of 224 meters (738 feet). 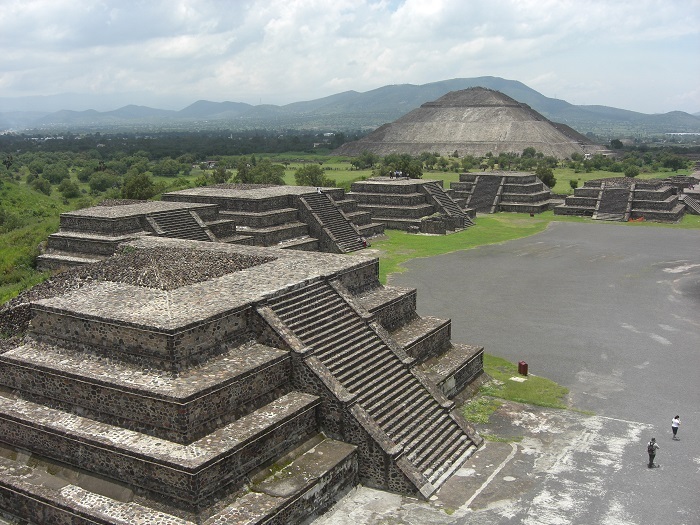 The second phase was the part where an altar atop of the pyramid was constructed, that unfortunately did not survive into modern times. 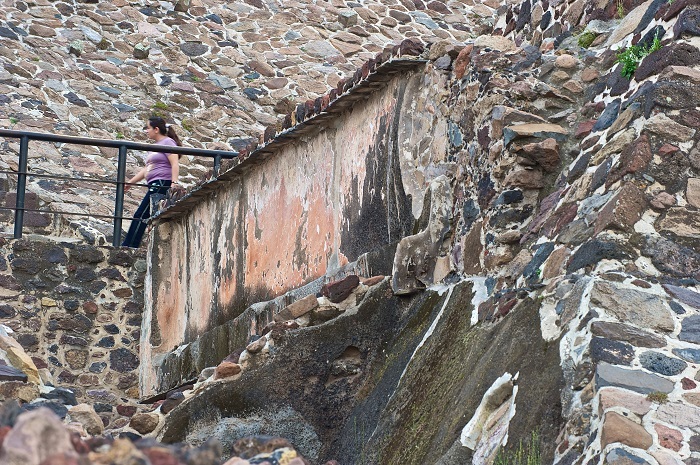 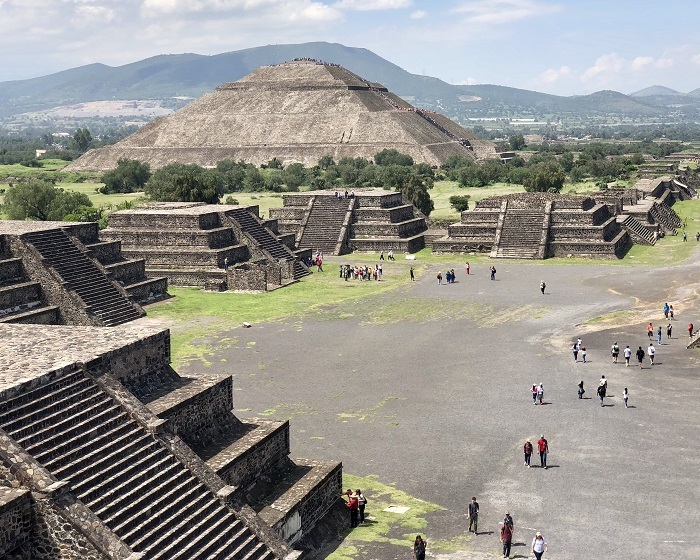 The entire structure was finished with plaster that was imported from the areas surrounding Teotihuacan, which allowed the Teotihuacans to paint impressive colorful murals. 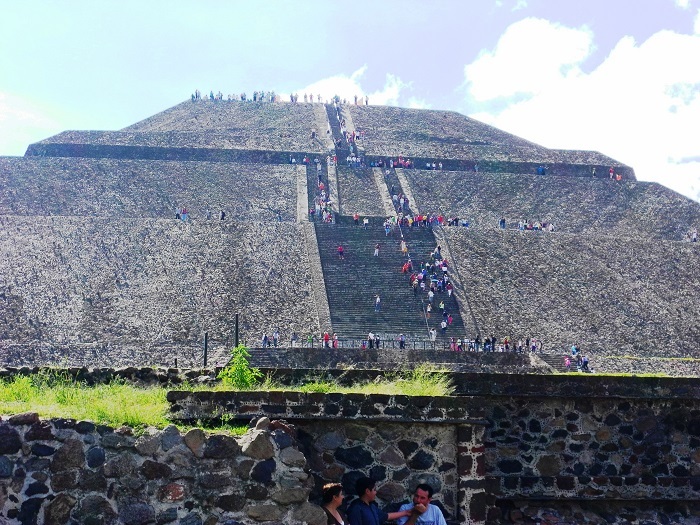 The immense size of the pyramid can be felt when walking around it takes approximately 15 minutes, but the most impressive feature is the climb to the top where the visitors are climbing the 248 steps while enjoying the wonderful views over the Avenue of the Dead, which leads to the younger Pyramid of the Moon. 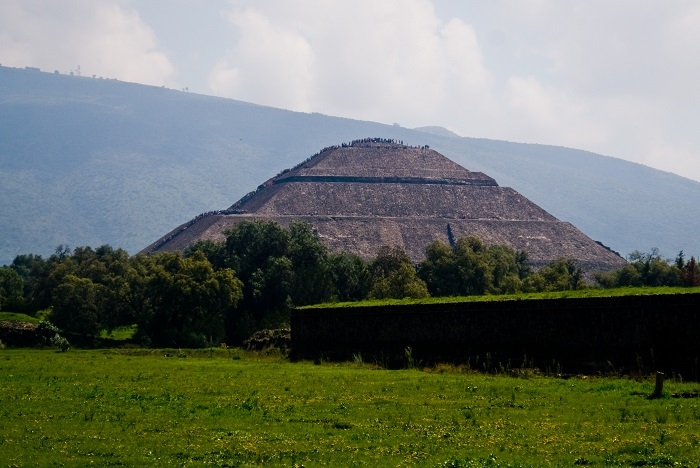 Since there is no clear evidence for what the Teotihuacans used the pyramid, it is very clear that the Aztecs used it as a site for animal and human sacrifices to their gods. 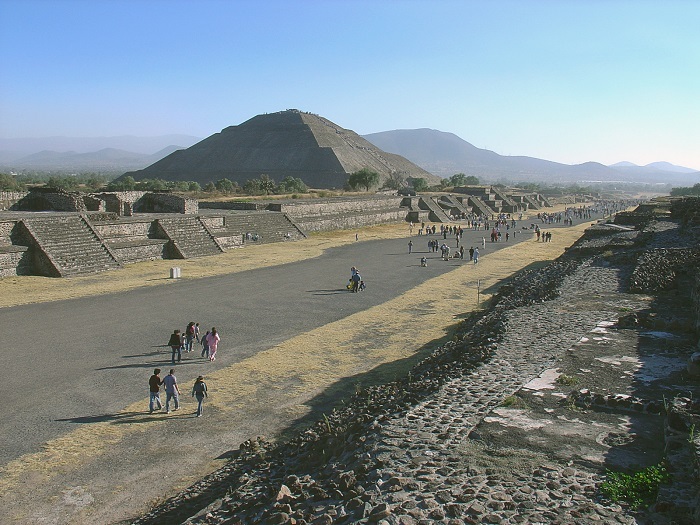 Still, the alignment which is at 15.25 north of true-east might give a clue to the construction of the pyramid, as this means that it is facing the sunset on 11 August and 29 April, where in between these dates there are 260 days separating the sunsets, equaling the number of days in the Sacred Calendar. 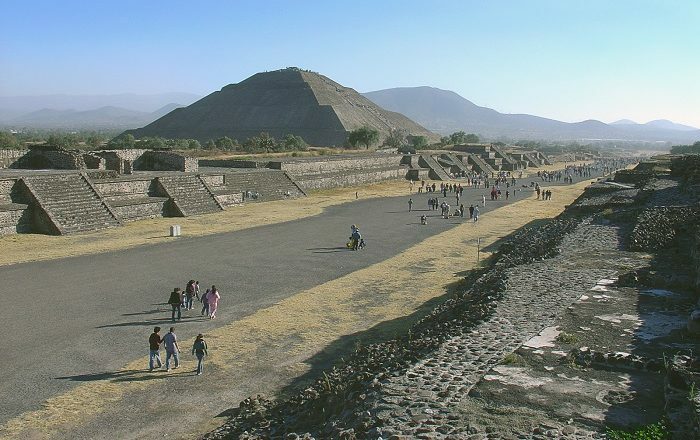 Nevertheless, within the Pyramid of the Sun, there is a 300 meters (984 feet) long corridor which leads to a central chamber that had in the past a natural spring, around which ceremonies involving water and fire were performed, even though most of the archaeologists are claiming that it was a royal tomb. 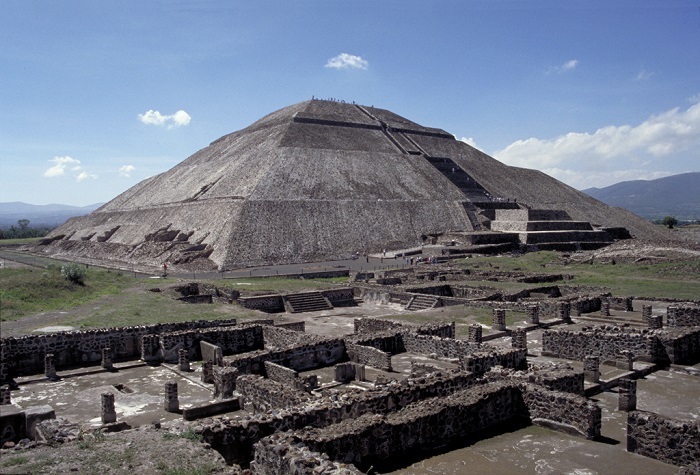 Scientists are still trying to find other chambers within the interior, although due to the substantial looting, the discovery of such chambers is very difficult. 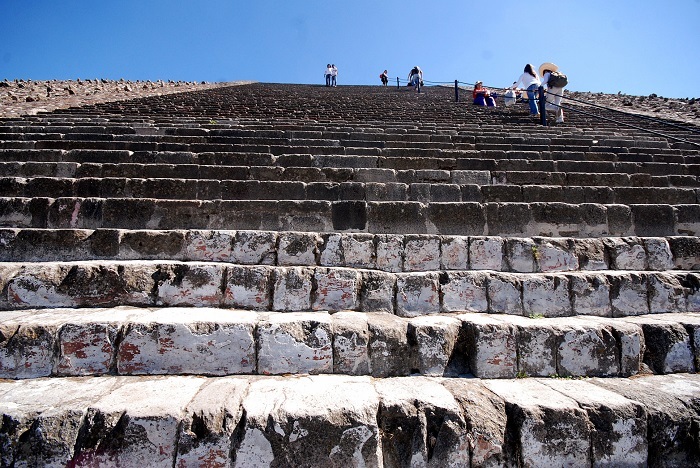 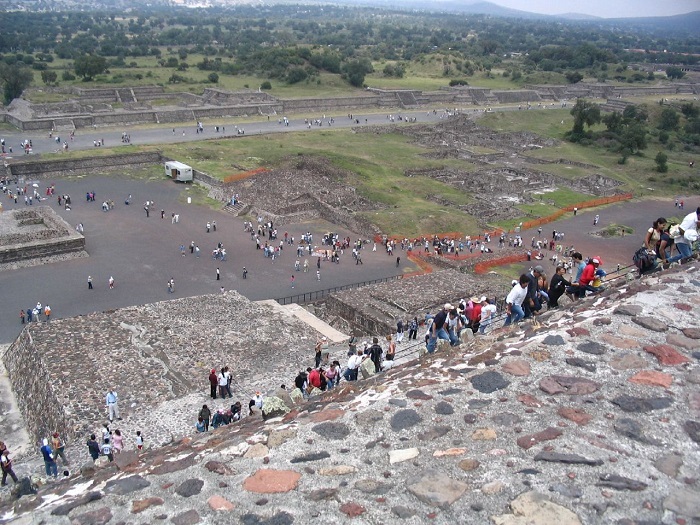 In conclusion, being one of the most impressive works of the native people in Mexico, and being part of a bigger ancient city, the Pyramid of the Sun is certainly a very popular site under UNESCO’s protection which shall continue to inspire people to visit it every time they get the chance.